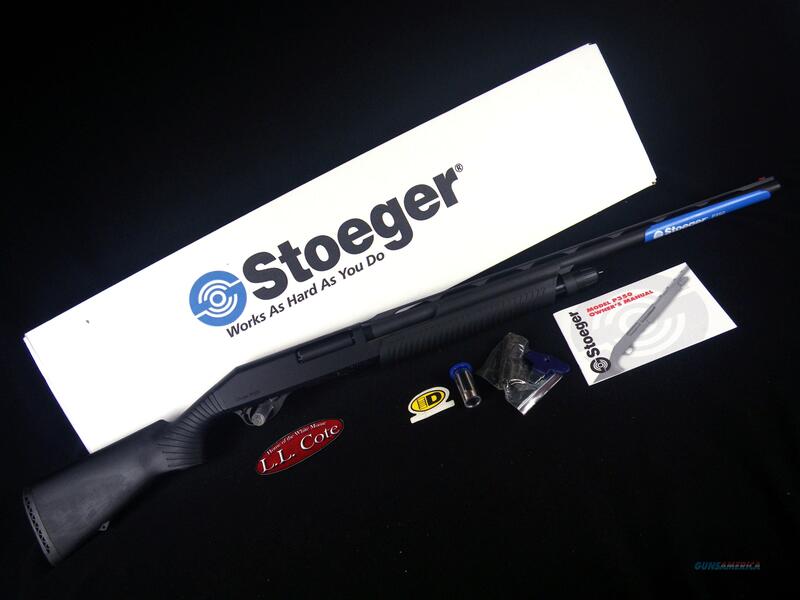 Description: You are bidding on a Stoeger P350 in 12ga with a 26" barrel and 3.5” chamber. The Stoeger P-350 Pump Shotgun is a no nonsense, rugged and reliable hunting gun designed to fire any and all 12-gauge ammunition from field loads to 3.5 in magnums. Whether it's dove loads in September or steel shot in November, the Stoeger P-350 will digest them all without so much as a hiccup. And there's even a 13 ounce recoil reducer that screws right onto the tail of the stock bolt to tame the kick of the heavy magnums. The P-350 fore-end assembly features twin action bars for smoother, non-binding cycling. Displayed images are stock photos. Any questions please feel free to ask (our phone number is in the additional information tab above).